Emberton Country Park next to Olney offers 200 acres of parkland and lakes where day visitors can enjoy peace and relaxation. And all within a mile of Olney. There are childrens play areas, a conservation area, sailing club and picnic areas. 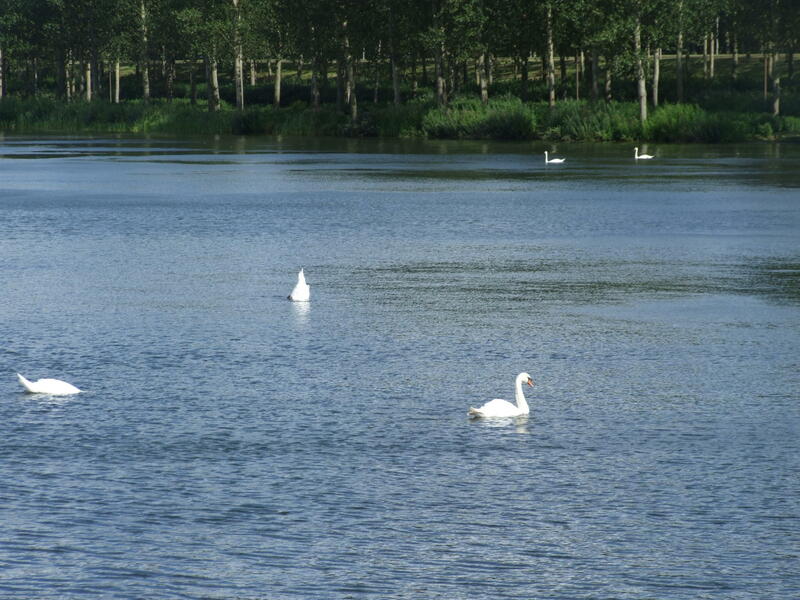 Emberton Country Park offers easy cycling for children & ducks on the lakes. It has easy walks and cycle routes within a mile of Olney. Many footpaths link in to it. There is also a 22 km (13 mile) circular route which covers Emberton - Harrold - Carlton - Turvey - Newton Blossomville. Another route of 10 km (6 miles) on a circular route from Emberton to Petsoe, Chicheley, Sherrington and back to Emberton. The Ordnance Survey Landranger map for Northampton & Milton Keynes (sheet 152) covers the area with a scale of 1:50 000. OS Explorer map is for Newport Pagnell & Northampton South (Sheet 207) offers the scale 1:25 000.